A little girl is thrilled that winter is just around the corner – because she can finally play outside. 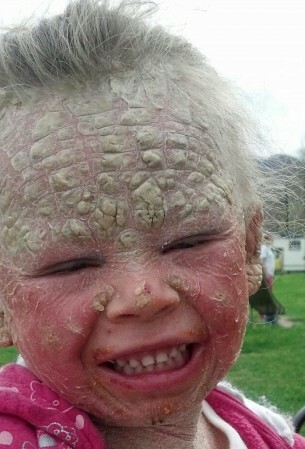 Cute Georgia Mitchell, five, suffers from a rare condition which leaves her skin covered in painful scales. The condition, known as non-bullous congenital ichthyosiform erythroderma (NBCIE), is excruciating when exposed to the sun, leaving the little tot trapped indoors all summer long whilst her friends played outside. But finally winter is almost here, and Georgia can’t wait to get outside and play. Goergia’s mum, Misty Mitchell, 33, said: “When Georgia was born she had scales all over her skin – it looks like she has been burnt. “Doctors didn’t think she’d make it. “Because of her skin she gets overheated very easily and so she cannot play outside when it is hot. “She can’t play any sports because she will get too hot too quickly. “A lot of children don’t understand why she can’t join them outside. “This just makes it this makes it harder for Georgia because the kids will not play with her. “But now she is really looking forward to the winter. 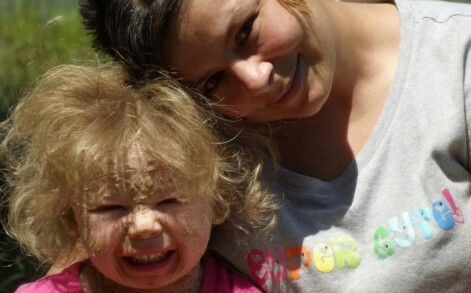 Georgia, from Harlan, Kentuckywas diagnosed with NBCIE when she was born – a life-long condition which causes severe scaling of the skin. 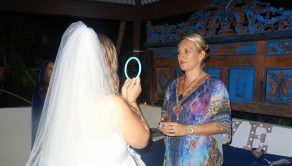 Amongst other complications, this prevents the normal process of sweating and so sunlight and exercise become a problem. 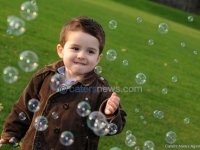 The five-year-old can find it difficult to make friends as she can’t go out and play in the summer months. Misty added: “Because of her skin we have to say no to her when she asks to do certain things which is heart-breaking. “She wants to go to Disney World but we just can’t let her. “There have been so many birthday parties she has asked to go to that we have to just say no because of the heat. “But it is amazing when the winter comes each year because we can let her go outside. 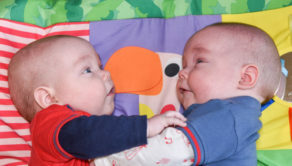 When Misty went into labour and gave birth at just 32 weeks, straight away she knew something was wrong with Georgia. Misty says: “I had an emergency C-section and when I woke up when they were pushing me back to my room, I could immediately tell by my family’s faces that something was wrong. 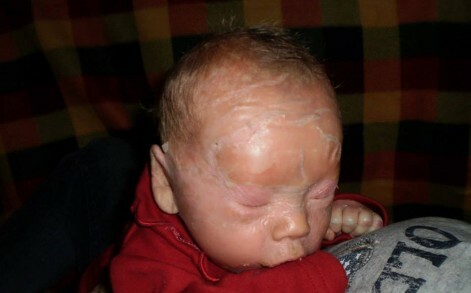 “They told me something was not right with her skin and that she was going to be transferred to a different hospital. “But I wasn’t allowed to go with her because I had just had a C-section. Misty and her husband Sonny, 38, were told then about the condition Georgia suffered from. Medics told her loving parents that she may not survive just before she was to be transferred to Johnson City Medical Centre. But thankfully, after nine days in the neonatal unit, on Christmas Eve, Misty and Sonny were able to take their little girl home. Misty says: “I was so worried but the doctors were fabulous and took wonderful care of Georgia. “They were the longest nine days of my life but it was amazing when we were finally able to bring her home. And ever since, Georgia has gone from strength to strength. Misty says: “When she was born, doctors said Georgia wouldn’t make it past two weeks. “They said even if she did, she wouldn’t be able to crawl or walk. Although Georgia has proved doctors wrong by excelling in her development, her condition does hold her back from every day activities of a five year old. Misty said: “We took Georgia to school and she loved it but we had to make the heart-breaking decision with her doctor to withdraw her because it was too much for her. “She would come home and cry every night because her legs hurt after trying to keep up with the other children. Despite this, Misty is determined that Georgia will excel in life. 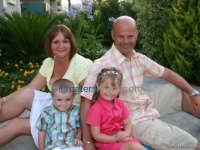 Mrs Mitchell added: “Georgia is very outgoing and she lets nothing hold her back. “My daughter is going to be somebody. “She says she wants to be a doctor and we continue to encourage her. “We let her know that she can do anything. “The most important lesson I have learned is to take one day at a time, have faith and enjoy the life you have been given. Misty and Sonny have set up the Facebook page ‘Sweet Georgia’s Journey’ to raise awareness of her condition and to follow her journey through life. Quid’s in! 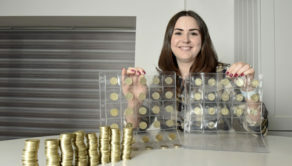 Yummy mummy with collection of every single £1 coin design ever made!